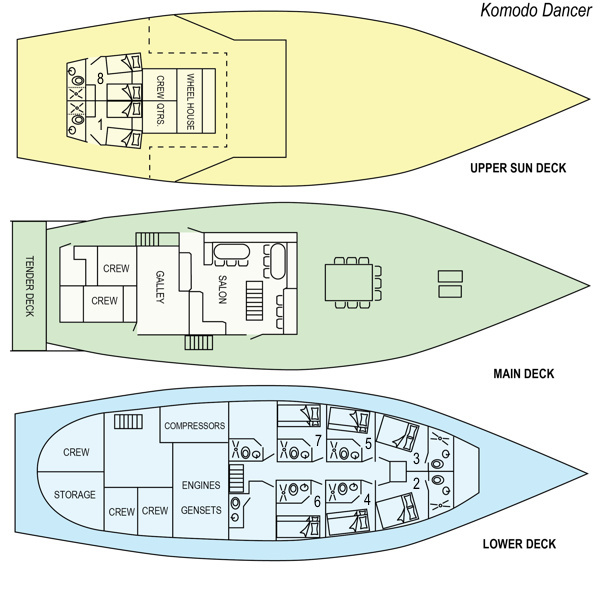 The M/V Komodo Dancer liveaboard measures 37 meters in length and has enough space to bring along as many as sixteen passengers. 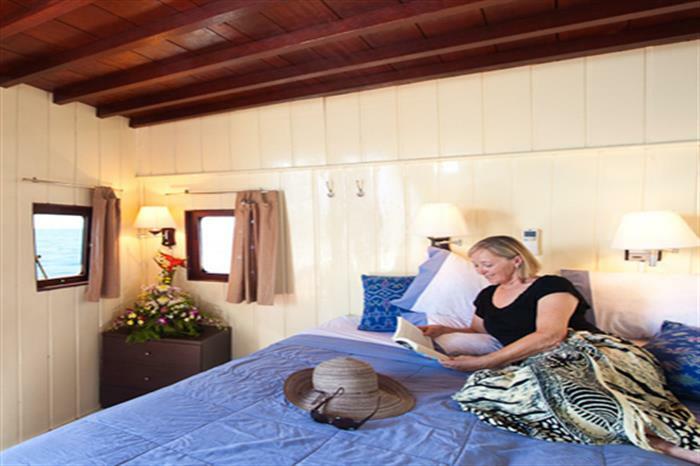 The liveaboard is complete with a big screen television in a comfortable lounge, perfect for relaxing before and after dives. 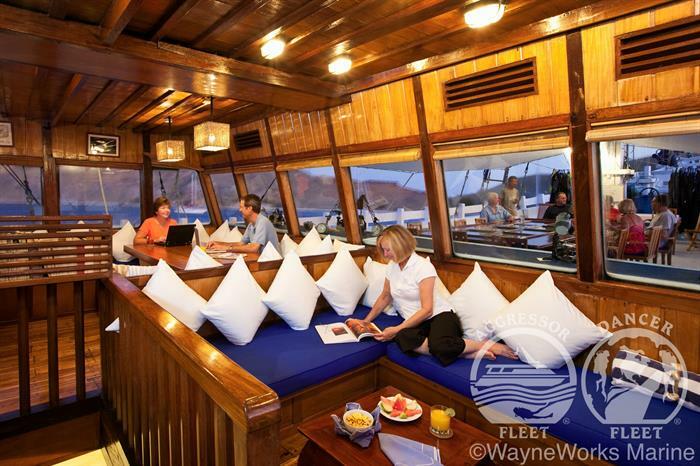 This large vessel can also serve up to sixteen passengers in seven large suites, each featuring individually controlled air conditioning, en-suite bathrooms, and stylish furnishings. 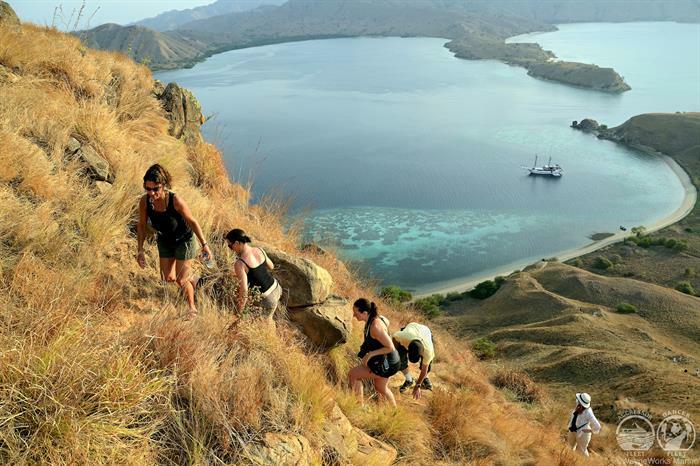 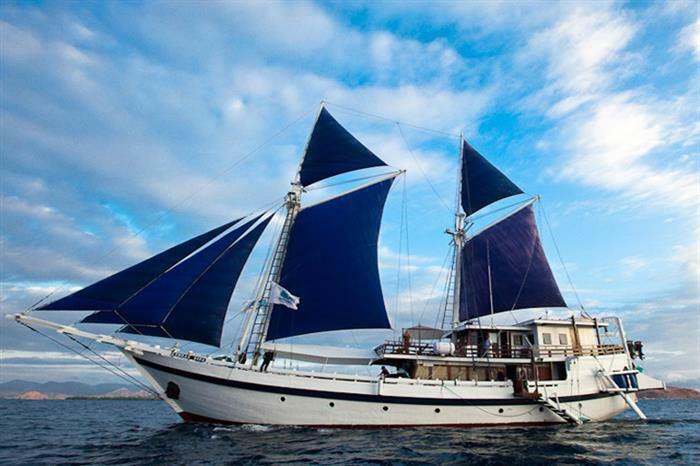 Travel the beautiful turquoise waters of Indonesia in the Komodo Dancer, diving in many of the top dive locations in the region, from the Komodo National Park to Bali, with diving cruises scheduled all year long. 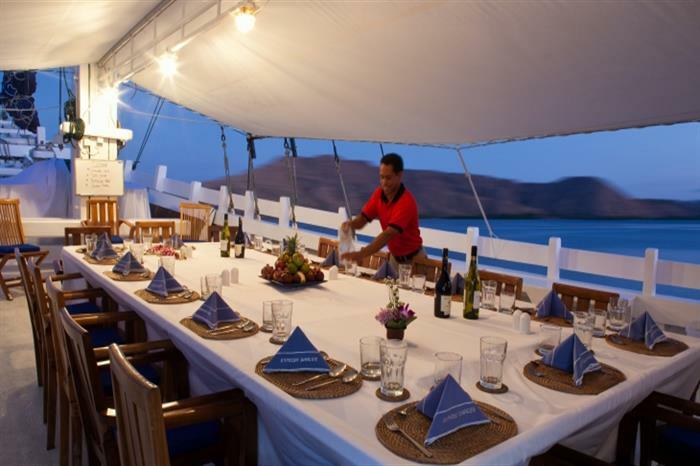 Meals are made by the on board chef daily, allowing guests to refuel from a long day of diving while taking in some of the most beautiful ocean views. 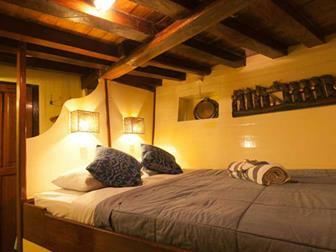 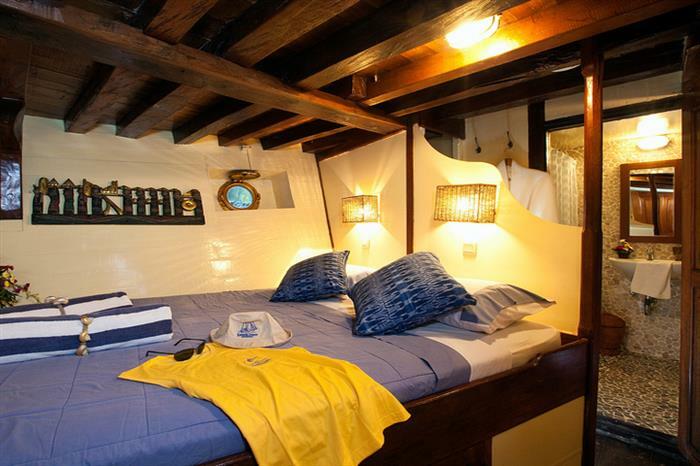 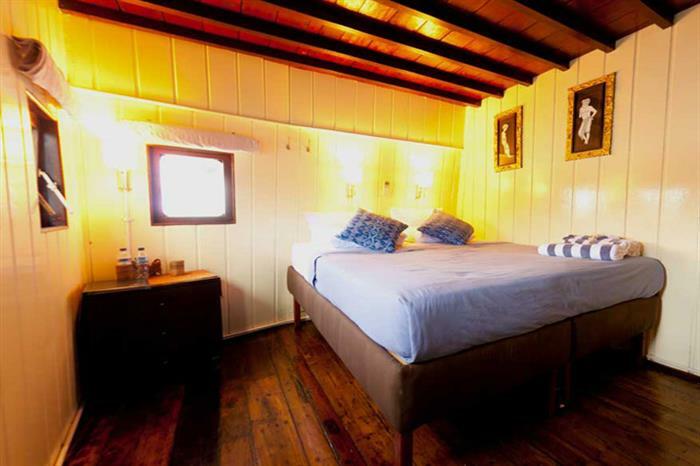 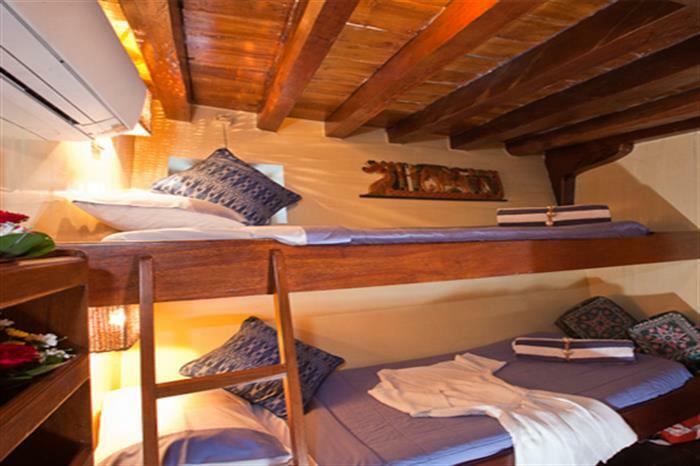 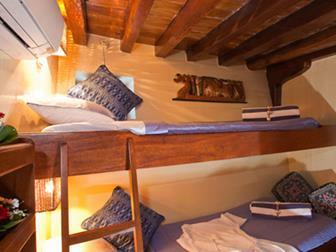 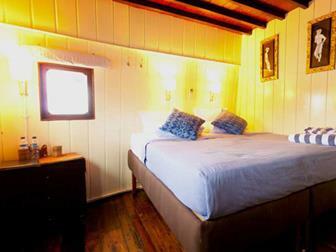 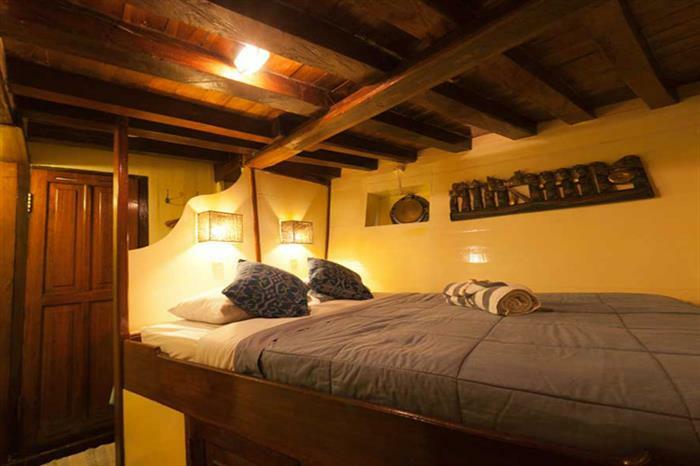 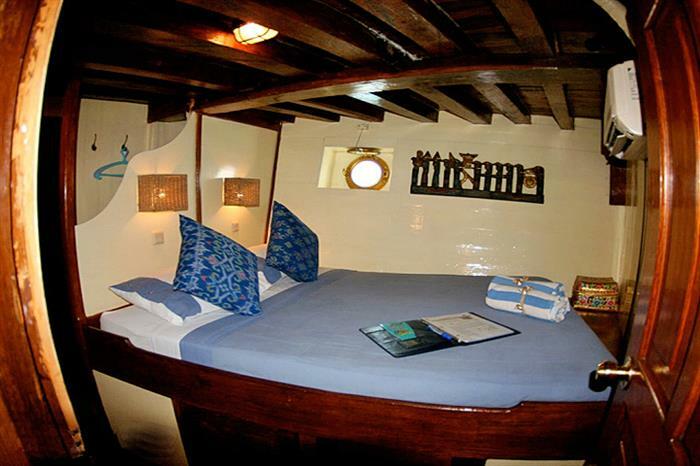 This liveaboard has all of the amenities that a scuba diver could ask for. 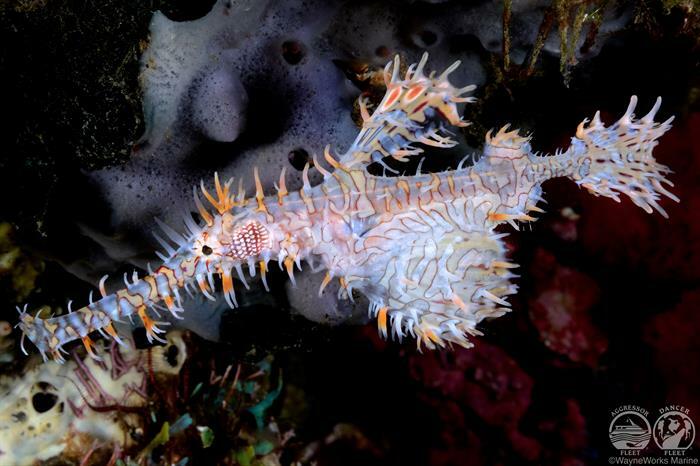 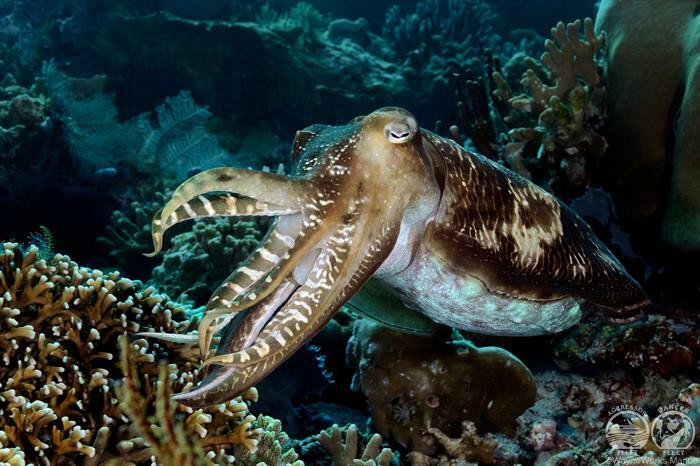 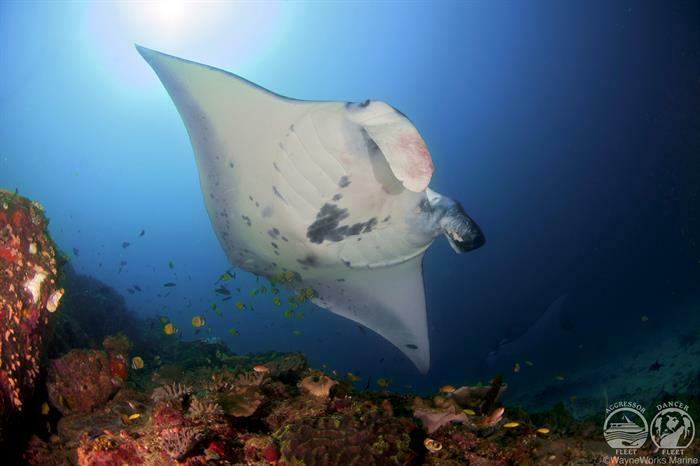 The Indonesian waters are full of countless species of fish, sharks, rays, and beautifully vibrant coral reefs. 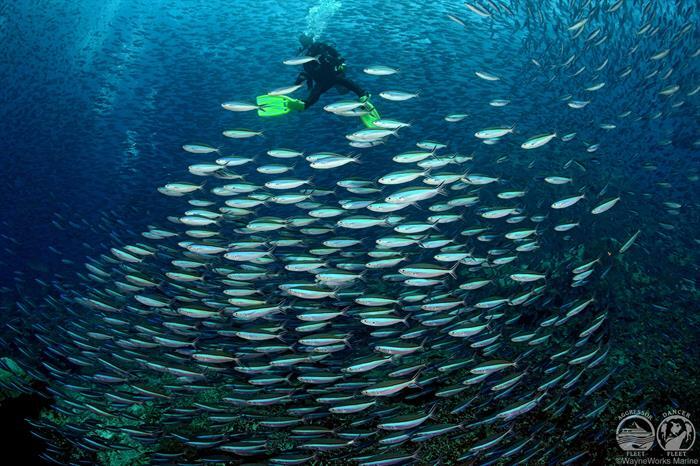 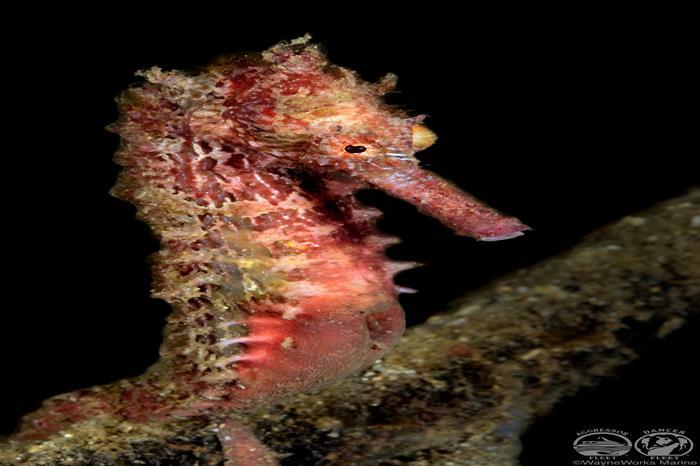 Come face to face with some of the most stunning ocean life as you explore wrecks, vertical walls, and scuba dive in some of the best spots out there. 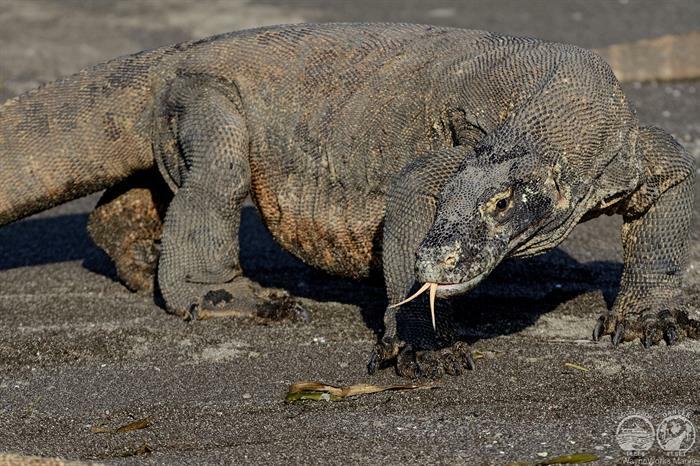 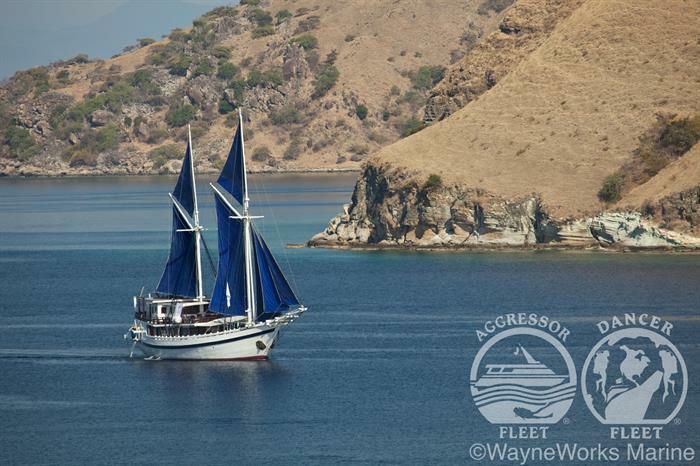 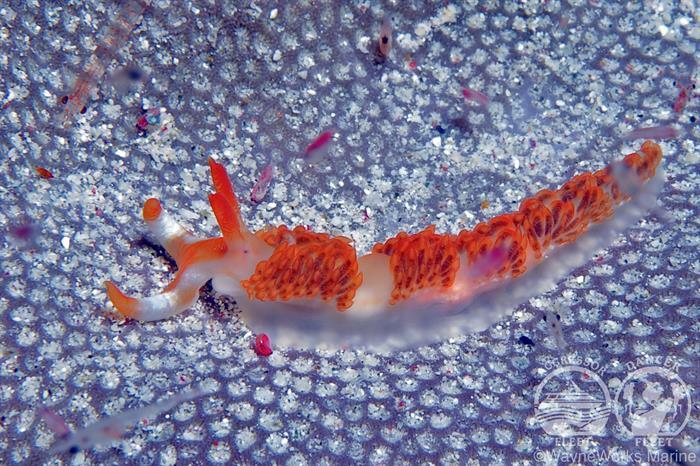 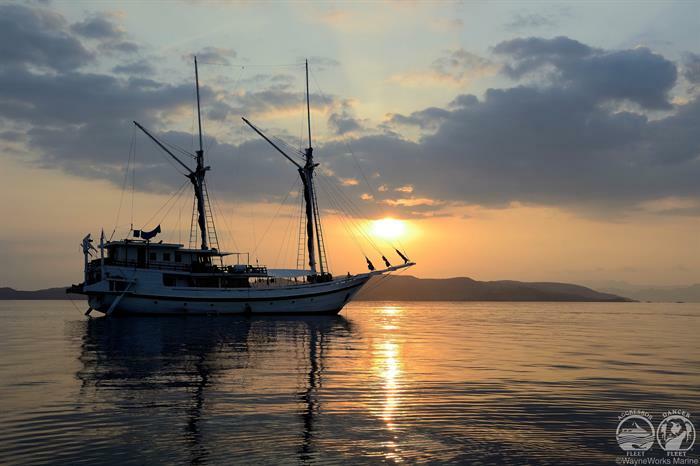 The Komodo Dancer is an exceptional option for a liveaboard diving vacation, promising unforgettable experiences. 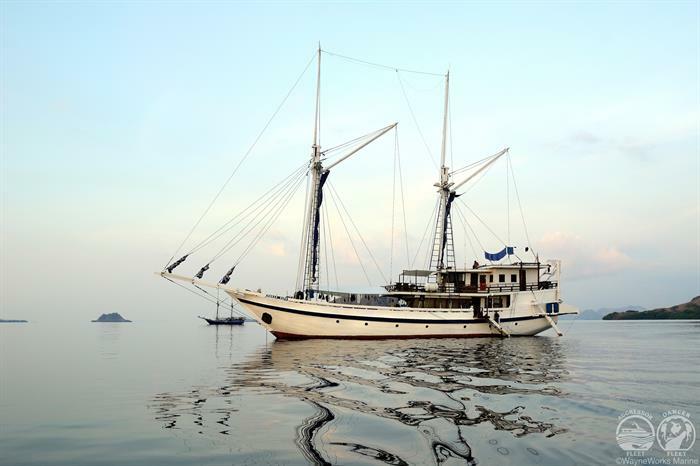 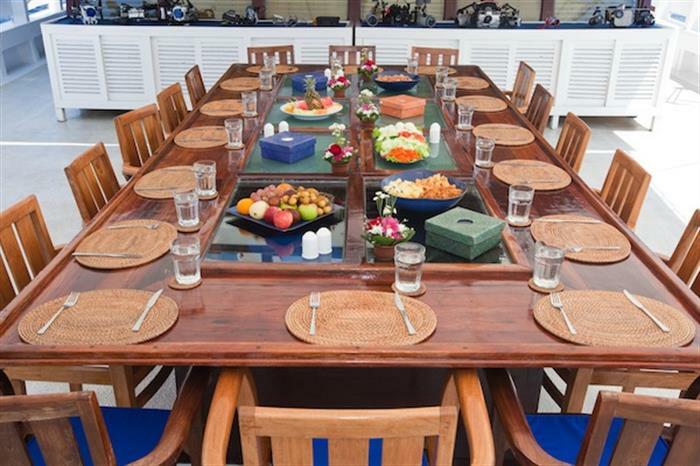 Take your next diving cruise to the next level by booking with this exceptional liveaboard today!